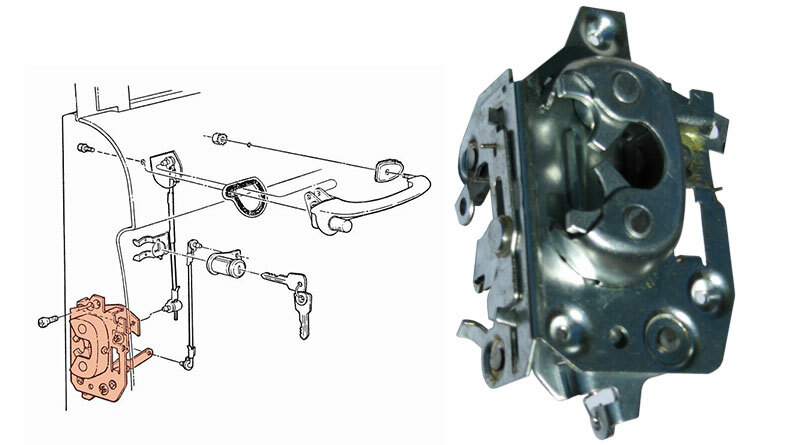 Factory correct door latch for 68-77 Ford Broncos. This door latch mounts to the inside of the door and catches the door striker when the door is shut. 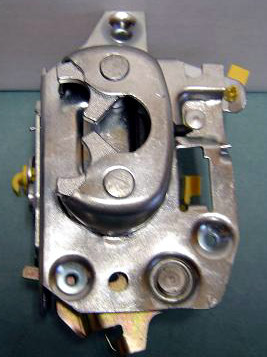 This is the passenger side door latch for 1968 to 1977 Ford Broncos. 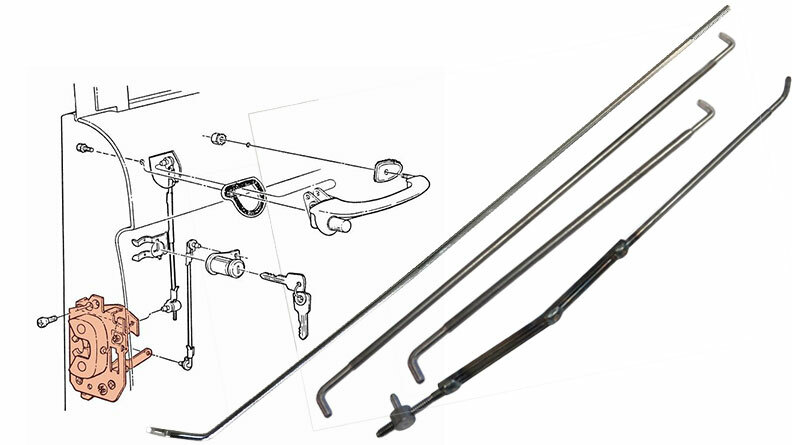 We recommend purchasing new door latch rods and door rod bushings as well.